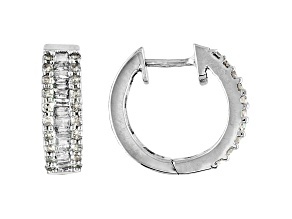 Diamond .45ctw Round And Baguette Rhodium Over Sterling Silver Earrings. 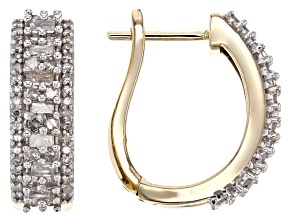 As an elegant staple in almost any collection, diamond hoop earrings are the perfect addition to any outfit, whether you are on your way to the office or are going out on the town. 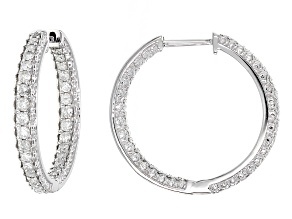 Wearing diamond hoop earrings is always a good idea. 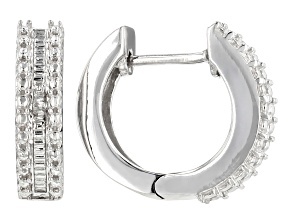 They add a touch of class to any wardrobe selection. 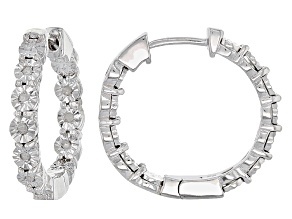 Catch the eyes of everyone in the room with diamond hoops from JTV. 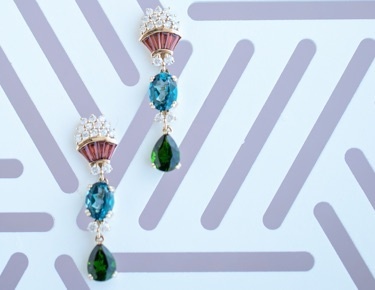 These affordable earrings are simply magical, and you can find them in a variety of styles. 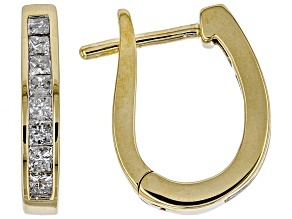 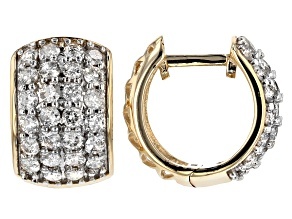 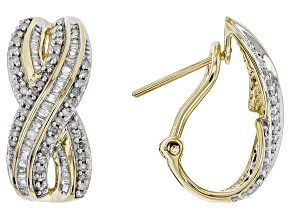 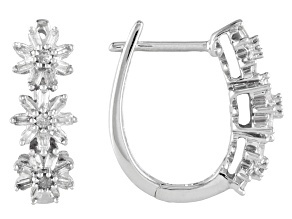 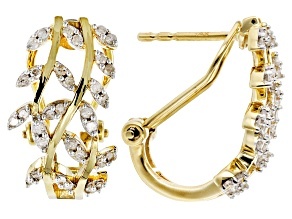 JTV's diamond hoop earrings come in yellow gold, white gold, silver and more. 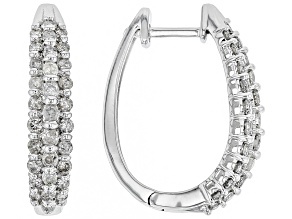 Many of these diamond hoops feature additional gemstones as well, such as sapphires and ruby. 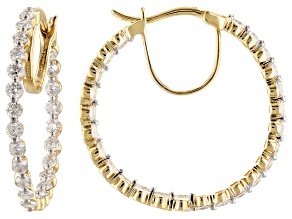 Whether you want something with a sleek, classic look or diamond hoops earrings that have a baguette shape, JTV has it all. 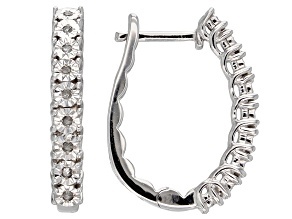 Diamond hoop earrings also make a great gift. 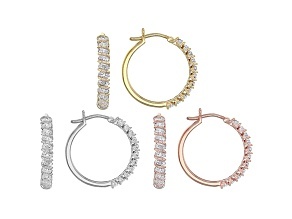 Birthdays, anniversaries, Christmas and more-give the gift of diamond hoops to make your friend or loved one smile! 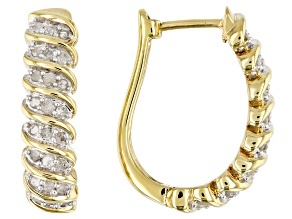 When you know how well these diamond hoops complement your own style, you will be able to give that same stylish touch of sophistication to the recipient. 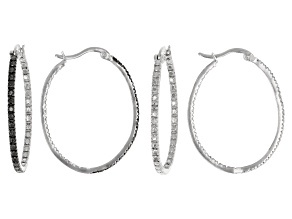 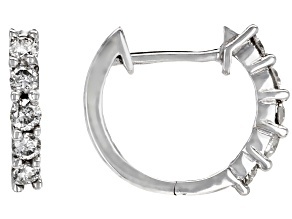 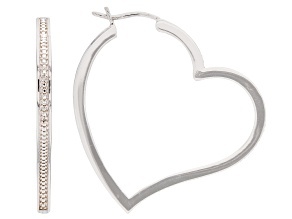 JTV's diamond hoop earrings pair perfectly with diamond bracelets and diamond necklaces. 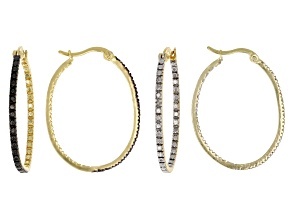 Wear some of each to complete your look! 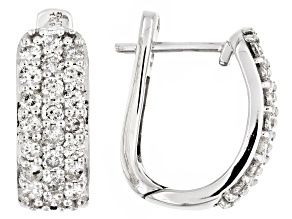 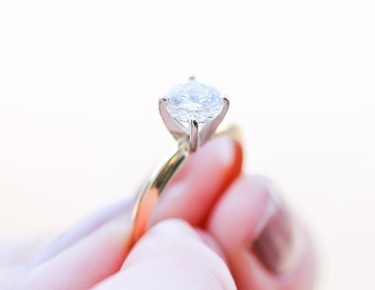 The gorgeous sparkle of all of this diamond jewelry is just what you want in order to feel confident and beautiful. 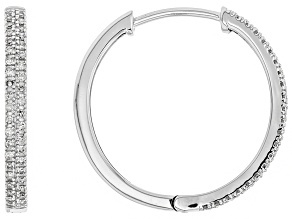 JTV has great prices that will not set you back in your budget, so you can add a variety of beautiful pieces to your jewelry collection.